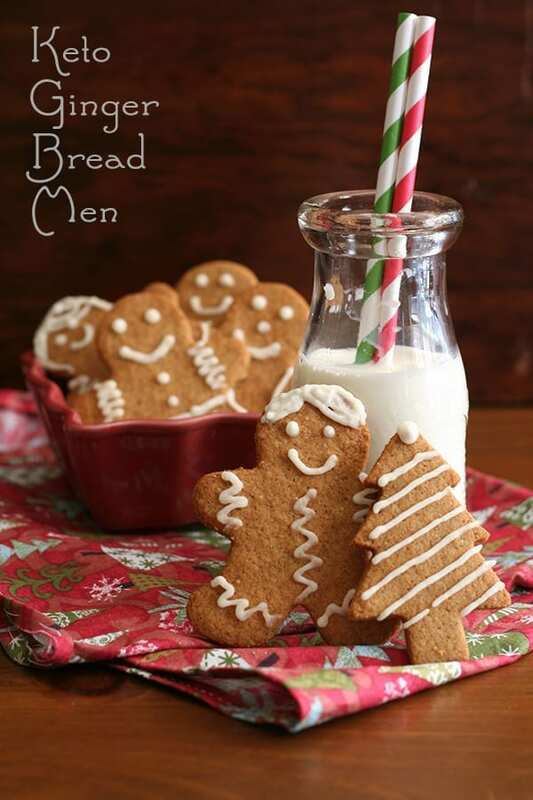 Low Carb Gingerbread Men – a classic holiday cookies goes low carb and sugar free! 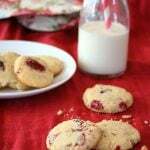 The perfect keto cookie for decorating with your kids and giving as a healthy holiday gift. Now with an instructional video to show you just how easy they are to make! 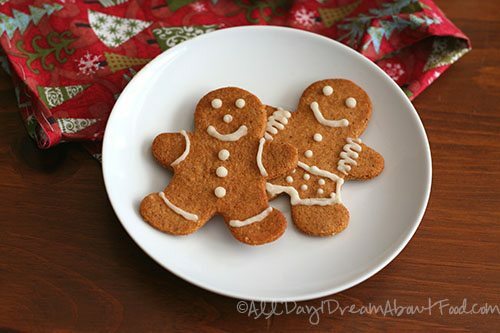 These gingerbread men have become a family favorite in my house, ever since I first created them back in 2013. Like most little kids, my children love decorating cookies and we make these delicious keto gingerbread cookies almost every year. I can’t honestly say I feel the same myself about the decorating part. I think much of it has to do with the finicky nature of working with royal icing. My hands, so steady in other times, tend to shake a little as I squeeze the piping bag. Lines I mean to be straight end up wobbly and crooked. Lines that should be curved just end up looking ragged and uneven. I simply do NOT understand how people get those beautiful cookies all perfectly even and filled in. I feel a little like a kid who can’t stay in the lines when colouring at school. I’d much prefer just to dip the whole lot in chocolate, thank you very much. Simpler, faster and it satisfies that primal urge for all things chocolate. But my kids love doing the whole cookie decorating thing, so every year around the holidays I set aside some time for this arduous task. This year I decided I wanted to make the perfect low carb gingerbread men. As always, I let my kids decorate their cookies with a few sprinkles and candies. And as always, I had a heck of time finding the smaller candies that are just right for cookie decorating. Why do mini M&Ms abound when you don’t need them, but when you do, they are nowhere to be seen? I kept my cookies quite simple, with just a little sugar free royal icing. I don’t know about you, but I like my gingerbread cookies to have a little tenderness to them. I didn’t want these to be super-crispy or rock hard, and I wanted them to have just a little chewiness upon biting into them. So I decided to make them with coconut oil instead of butter, knowing that coconut oil typically makes baked goods more tender. But these can easily be made with butter instead, if you prefer. The dough was a little too soft and overly-fragile, so I added just a bit of coconut flour to help it hold together a little better. And I was careful to take them out just a bit on the early side, to keep them softer. But if you are the sort who prefers your gingerbread cookies crispy, you can also bake these longer at a lower temperature, and they will crisp up nicely. Do note that this recipes makes a lot of gingerbread men. It’s meant to be shared and given away as gifts. But you can easily make a half batch, as I did in the video! In the end, the kids and I had a ball decorating these sweet little sugar free gingerbread men. The sugar-free royal icing recipe from the Swerve website is really quite good. 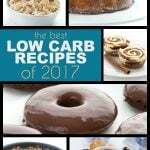 Do note that the original recipe does take a bit of starch but it adds almost nothing to the total carb count unless you are piling the icing on the cookies. When doing a few lines, it’s truly negligible and helps the icing have better consistency. You can skip it if you prefer. I let my kids almost have some fun with the sprinkles and candies for their cookies, knowing that the cookies were small enough, they could really only fit on a few anyway. I myself worked hard at making my cookies look like classic gingerbread men. And gingerbread trees, just to shake it up a little. Most of them didn’t turn out half-bad, but by the end I was quite literally drizzling the icing on in a random, abstract-art way, just to be done. My patience for these things is limited! And my son, who had been bemoaning the “boring” weekend we’d been having, had such fun that he declared it the best day ever. Oh, to be so easy to please! Apparently my kids inherited my cookie-decorating skills! Classic Gingerbread Men cookies made low carb and gluten-free. Perfect for decorating with your kids and giving as a healthy holiday gift. Stir in eggs, coconut oil, Yacon syrup and vanilla extract until dough comes together. Makes about 50 cookies when cookie cutters are about 3 inches tall. 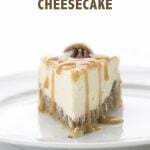 Ohhh, I want to make these today! I guess the meringue powder is a necessity? It might not be a full necessity but it certainly helps stiffen the royal icing once it’s on the cookie. Can I use egg white instead, and leave out or decrease the water? Hi 🙂 how do i print without the photo? Thanks! My grandddaughter and I just used these recipes for the gingerbread cookies and royal icing to make a gingerbread house. It was a success. We really enjoyed every step of the process. Thanks a million, Miss Carolyn! And as for decorating, for the kids’ birthday cakes I have finally resorted to store bought cake toppers and then writing a message on an index card and laying it on the cake. That’s how bad MY decorating skills are! 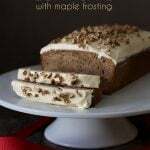 You can make it without molasses but they won’t have as much gingerbread flavour or colour. I don’t see molasses on the ingredient list. How much is used? I’ve just subbed Yacon for molasses, so that’s what you can follow. You can sub in the molasses there. Do you think this recipe could be adapted to make a gingerbread house? Have you tackled a rolled butter cookie … or a spritz … yet? I really do miss the tradition of making Christmas cookies. My mom and I used to bake a different cookie every weekend day starting after Thanksgiving. Hi Susan. I do have a rolled, cut-out sugar cookie recipe. Is that what you are looking for? I have yet to try spritz cookies. Ah, yes, that’s exactly what I’m looking for. I searched your site for it, but didn’t see it. Can you point the way? Thanks!! And I was thinking that a spritz cookie might be a good low-carb makeover, since you don’t need to roll it, and the dough can stay soft. They’re lots of fun for kids to make (or at least I enjoyed it when I was a kid), once they get the hang of the cookie gun/press. 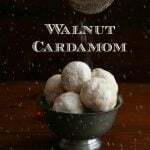 Also, I’ve been tooling around the low-carb web and noticed a recipe to make almond paste from almond flour, egg white, powdered sugar-substitute and almond extract. Have you tried it? I’ve been hankering for Italian Pignoli cookies, which are really just an almond meringue cookie, and will probably give it a go this holiday season. Almond paste opens up a lot of delicious pastry options, if this really does work. Anyway, I really appreciate all your work with these recipes. It’s really great not to feel deprived! I think making almond paste would be easy. I actually made frangipane tarts (similar idea) but have yet to post about them. You should definitely try it! Thanks! I’m really looking forward to trying both the gingerbread and the butter cookies. Nothing like a plate of cookies and a cup of tea over Christmas. And, really, we do want to help Santa with his blood sugar! Carolyn, these are absolutely adorable! Who doesn’t love gingerbread men for the holidays! These look wonderful! Sharing tomorrow on FB for sure! Thank you thank you! I was just feeling a little blue about the Christmas cookie thing and then I saw this–perfect! Feel that Christmas spirit coming back. 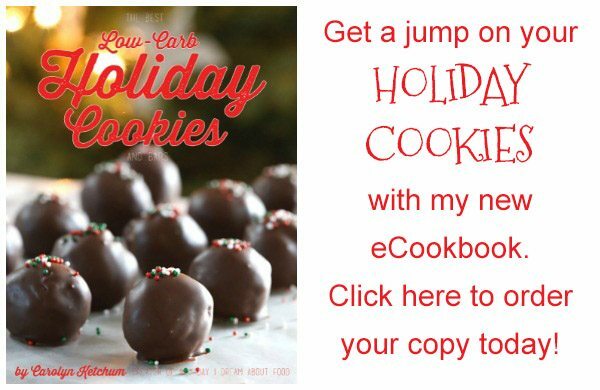 There are lots of great options for low carb Christmas cookies! Hi Jill… Yes, it probably affects them a little. Sugar is hygroscopic, meaning it attracts moisture. Erythritol and xylitol are non-hygroscopic, so I have to adjust the liquid content to account for that in my recipes. What recipes did you try with these? For most, it wouldn’t be too much of an issue, but for some recipes, it would make a difference. it was a bread-y thing..sadly i can not remember which…but would like to make the snowballs,gingerbread men, maybe some cake desserts. really, almost everything you make is so appealing. and i like using almond flour. i could use coconut syrup or honey if that would add enough moisture. No, the problem here is too much moisture, not too little. Coconut syrup or honey would make that worse. I actually think for these cookies, coconut sugar would be just fine. But if you find the dough too sticky, add another tbsp of coconut flour to firm it up and dry it out a bit. That always helps. So glad to be back here. My book is finally done and I have time to bake! 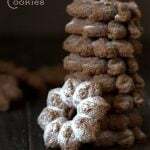 And now I need to go check out how you managed to make the cardamum cookies sugar free – I’m thinking that’s the Mexican wedding cake recipe, right? I wish I could get the swerve powdered sugar. What book? Clearly I haven’t been to your blog in a while! I have absolutely no idea because I’ve never used gluccomanon. However, I think it’s worth a try if you’re dying to make them. I don’t know how much you’d put in though. I am sitting on a Jury will make the “Police Line-up” perfect, all 13 of us will enjoy. Dipping in chocolate sounds good to me – they could have boots, gloves, and a little beanie hat. Ganache would make great shorts and buttons, too. I think dark chocolate goes great with gingerbread. I have heard of it but never used it myself. Sorry I can’t be more help! I just made these….OMG!!! What can I say other than thank you from the bottom of my piggy little low-carb heart!! I put more ginger in than recommended (as I am a ginger freak) and I subbed half of the molasses for ricemalt syrup (so the molasses wasnt too overpowering). I am in love with these biscuits (cookies)! Glad you like them! I actually put in what I thought was a lot of ginger so you must REALLY like it. I LOVE IT 😀 I realise it (ginger) is relatively high carb, but I am trying to up my healthy carbs a little due to a thyroid issue. OH wow these are SO good!! 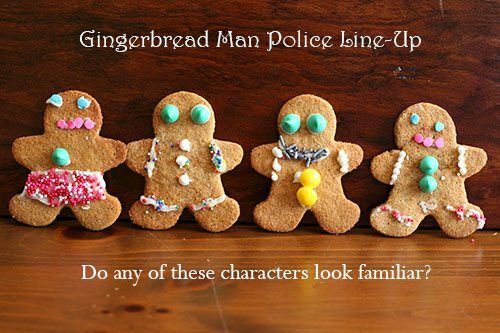 The police line-up made cracked me up C, and this is a great recipe for GF gingerbread Man cookies. Pinned! Ha, I’d forgotten about that picture. Thanks! 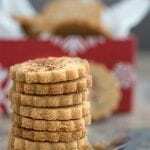 I’m wondering what your thoughts would be for making a thicker, chewy ginger cookie using this recipe–higher heat and shorter bake time? Thanks! Hmmm, good question. Obviously cut them thicker. I don’t think you’d want a higher heat but yes, a shorter bake time. Can I use Stevia for swerve? I am so looking forward to making these. Thanks so much!! You can probably do so in the cookies but it won’t work in the royal icing. I can’t see the post in Facebook because I am not part of the group. Thanks for sharing! the 74 calories, is it per cookie or for two gingerbread men? how much fat per cookie also? It’s all per cookie and it’s all right at the bottom there. 74 cal, 6g of fat. Thanks for the recipe. Can I sub the xanthum gum for something else or can I leave it out altogether as I can’t tolerate it too well ? You can leave it out. Dough will be a tad more fragile. These are sooooo good! I’m a cookie monster on a low-carb WOE and this is the first cookie I’ve found that doesn’t have a weird sweetener taste. I use powdered erythritol with some powdered stevia mixed in. I didn’t even decorate them and they’re delicious. Thank you so much. Made these today. Added a little white pepper and cardamom for extra spice. Made the crispier version without icing. Came out very tasty! I’m thinking about experimenting with molasses powder to cut down on sugar. Thanks for the great recipes. I am intrigued. Can you tell me how it’s going to fit into the story? And you are using just this recipe? I would be using your recipe for the cookies in the cover-art, and I would like to put the recipe in the back of the book. That is really cute so I say…why not!?! Thanks for liking my recipe so much to want to include it. You know you will have to send me a copy, right? So I can share at least on social media? Do you think this dough could be made ahead of time and chilled? I’m having some friends over and this would be fun to do. If I make these with butter and NO coconut oil, will they be crispier? I prefer my gingerbread cookies crispy. To get them crispy, simply bake longer at a lower temperature. There are times when I wish you’d post pictures of the recipe process and not just the finished product. I had trouble getting the dough to “come together.” My dough was very crumbly and there was no possible way I’d be able to roll it out. I had to add more egg and coconut oil to make it “come together” and even then it kept falling apart. In the end, I took small sections of dough and flattened them into rounds on the cookie sheet, still fighting against the dough wanting to crumble. But if I had a picture of what the dough was supposed to look like, I’d be better able to tell where I had gone wrong instead of guessing that I got close to where it should be. The cookies turned out fine, I guess. The flavor seemed off. Maybe the spices should be stronger. 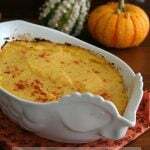 I can not figure out what I did wrong, I followed the recipe almost exactly, I only substituted half of the melted coconut oil for softened butter. I like crisp cookies so I baked them as you recommended for crisp cookies, oven temp on 225 for 50 minutes. Still weren’t ready so I baked them another 15 minutes. They never got crispy, more like a soft, yet very dry cookie and they aren’t sweet enough for a cookie. And yes I rolled them out to 1/4 inch thickness. So bummed. Did you use a different sweetener at all? I’ve never had this complaint so I am trying to figure it out. Did u use fresh ginger or dried? Can flax eggs be substituted for the egg in this recipe? My kids have egg allergies. I’d love to make a low card cookie we all can eat! I haven’t tried it but it’s certainly worth a try. You may want to halve the recipe in case it doesn’t work out. Just made these. I love them ? We did use reg royal icing but the cookie is fab!! Ty and Happy Hokidays! 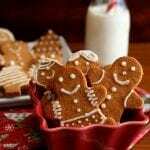 Best Gingerbread Cookies recipe !! 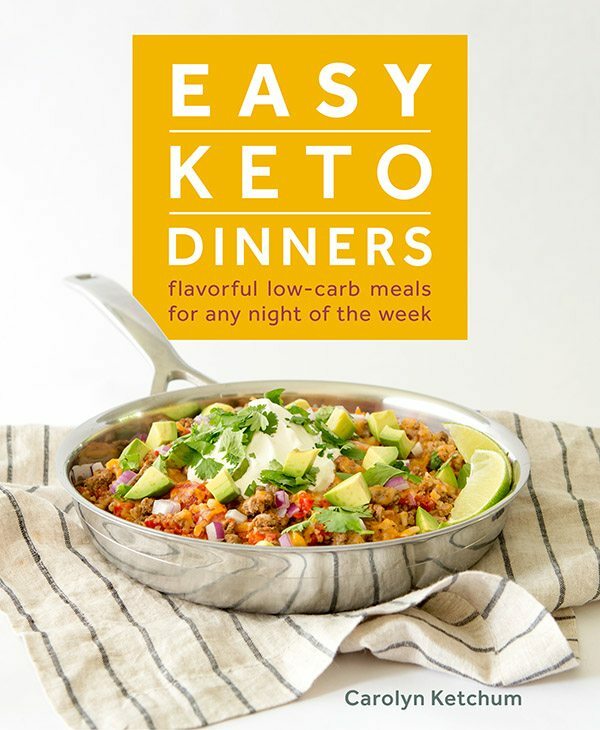 These look absolutely perfect and I’m so excited to try this keto version! Wow these look PERFECT! 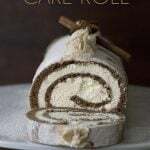 I can’t wait to use this recipe with my kids this holiday season! Gingerbread cookies are a must at our house for the holidays. My new daughter in law can’t have gluten, so I’ll have to give these a try. Thank you!!! Those are the cutest gingerbread men! The police line up made me laugh! Can molasses be substituted for Yacon Syrup? Also, is there a good sub for Swerve? 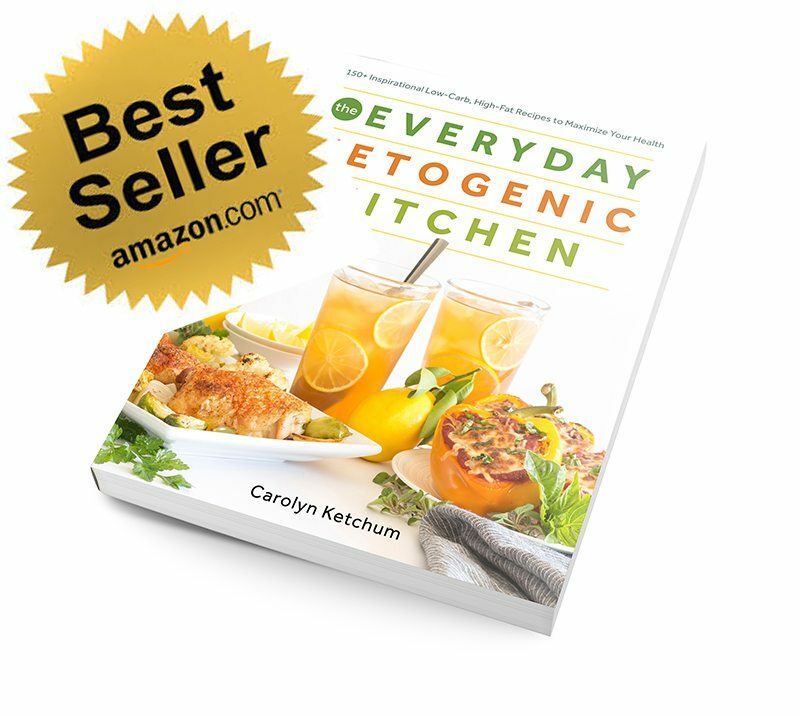 Thanks for your great recipes, Carolyn! Yes, molasses is fine. And you can try using plain erythritol although it’s not as sweet as Swerve. After a huge FAIL with a Pecan Pie recipe (not yours!) I am just a little hesitant to try another new recipe. However, I really, REALLY want gingerbread cookies this year, and your recipe looks pretty good. Two questions: I have never used Yacon syrup before and have no easy access to finding it anytime soon. Is there something I can substitute? Also, I’m about done using any erythritol-based sweeteners since they cause awful stomach distress and cramping for me, even in small amounts now. I’ve recently purchased BochaSweet and would like to give that a try. It’s pretty expensive, so I don’t want to waste it if it isn’t going to work. What do you think? Are you familiar with BochaSweet? Thank you! It’s always good to read the reviews on a recipe and this one has been around for a while with VERY few complaints. So there you go! Yes, molasses can be subbed for Yacon. It’s interesting that you have trouble with Erythritol and GI issues as most people do not. I use Bocha Sweet but I warn you that it makes keto baked goods softer. To be honest, I usually use it half and half with Swerve and usually only in caramel sauce and ice cream to keep it softer. 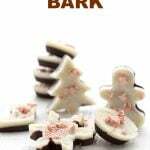 But if you want softer, chewier gingerbread men, it may work in these! 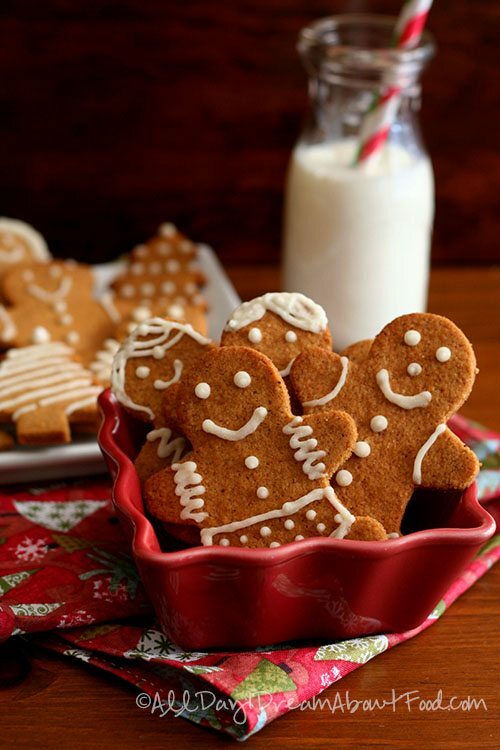 These gingerbread men are so cute! My kids would love decorating them for Christmas! 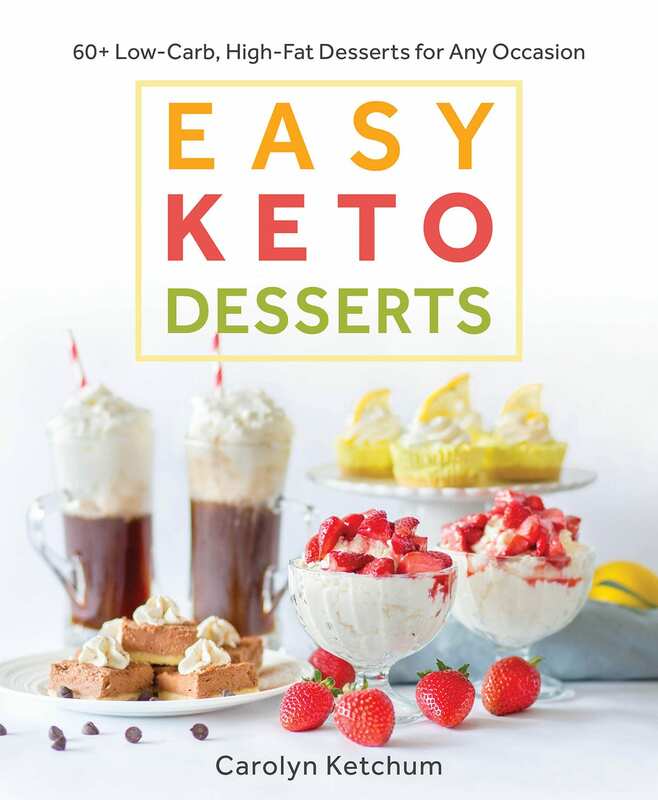 These are the cutest and such a fun Keto dessert for the holidays. 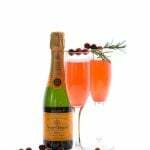 We adore this recipe! These cookies turned out beautiful!!! These look yummy! I’m baking ahead for Christmas. Any issues freezing them after they are baked? Thanks! No, they freeze and thaw perfectly! Loving your recipes as always!!! Do you think I might be able to substitute oat fiber for the coconut flour due to allergies? Probably but I would use a touch more because coconut flour is more absorbent. Thanks for yet another great recipe, Carolyn! This recipe is practically perfect in every way. 🙂 A unanimous hit! Is there any other flour to sub for the almond? Would love to try this but my daughter can’t tolerate almonds. I’ve heard flax meal but is that cup for cup? Flax meal would be AWFUL. You can try sunflower seed flour. Just the right amount of crunch and chew! Next time I’m going to reduce the other spices and add more ginger. This recipe is a keeper! I have read the recipe over several times, and I don’t see molasses listed in the ingredients, but it is in the instructions. Am I just missing it? Also, is the Yakon syrup a 1 to 1 liquid sweetener so that I could sub Agave-5 in equal amounts? Sorry for the confusion. The Yacon takes place of the original molasses so you can just use that. These are wonderful. I made a few adjustments and they still came out great. I subbed 1/2 cup xylitol plus one dropper of stevia for the one cup swerve. 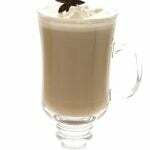 I also did not add the yacon syrup. My gingerbread cookie cutter got did not release these so I just used hearts and I did not use any frosting or icing. Not very sweet ( by choice) as I am keto and all sweets are usually too sweet for me. Thanks again. These are incredible. Can I sub Lakanto Powdered Monkfruit sweetner for the Swerve sweetner? It’s a little less finely ground than good almond flour like Honeyville. Your cookies might be a bit more crumbly. Thanks Carolyn, I will definitely wait till I get more almond flour I want my cookies to be perfect.